As Americans gear up for Mother's Day, there is good news regarding the day's honoree. 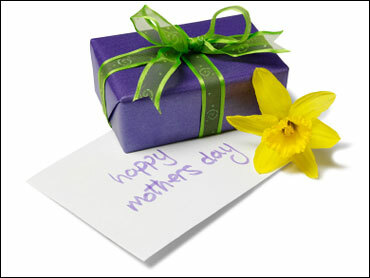 A new CBS News/New York Times poll found that most moms feel appreciated by their families. A stunning 85 percent of those surveyed across ages, income, and education levels said they felt appreciated. But the poll also revealed that the majority of mothers today feel that being a mom is harder than when they were children. Seventy three percent of Americans believe that being a mom today is more challenging, including an overwhelming majority of both moms and dads. On the issue of moms in the workplace, opinions are more divided. Half of Americans believe that children are better off with their mom at home rather than working, down from 61 percent six years ago. Thirty eight percent of Americans say it makes no difference in a child's life if their mother works, up from 29 percent in 2003. Those numbers break down in some surprising ways based on gender. It's women - not men - who more strongly endorse the idea of stay-at-home moms. That includes working moms themselves. Just 46 percent of men think children are better off with their mother at home, but when you factor in dads, that number increases to 57 percent. In contrast, 58 percent of moms think that children benefit when their mothers don't work. When it comes to parenting style, moms are almost evenly divided over whether or not they used their own mothers as role models. Fifty two percent of those polled say that their parenting was similar and 47 percent said that their style was different. The survey shows, however, that a lot depends on the age of the mom and the age of the child. Sixty one percent of women with children over age 18, say their parenting style resembles their mother's, while 54 percent of moms with kids under age 18 say their style differs from their mother's. This poll was conducted among a random sample of 973 adults nationwide, interviewed by telephone April 22-26, 2009. Phone numbers were dialed from RDD samples of both standard land-lines and cell phones. The error due to sampling for results based on the entire sample could be plus or minus three percentage points. The error for subgroups is higher. The margin of error for the sample of Mothers is four points. An oversample of African Americans were interviewed for a total of 212 interviews with African Americans. The results then weighted in proportion to the racial composition of the adult population in the U.S. Census. The margin of error for the sample of African Americans is 7 points.